Launch A Naval Embargo Against the Nation of Iceland Until WhenIaminSpace is Unbanned on EVE. It's real. American direct democracy in action. Might make a pleasant change from invading countries for their oil. Currently it's still 99919 short of the 100 000 needed. I recently gave a class and ran a tournament around mastering interceptors. There's a bit of a backstory. 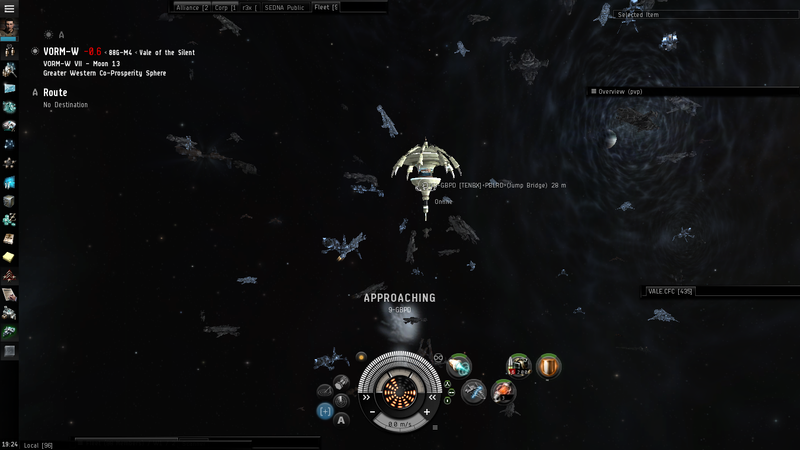 I took out an interceptor roam and we caught a tengu on a gate. He was baiting us - showing off his ability to tank us. I doggedly kept us on him for a long time battering away at him then sneakily brought in heavier ships while he was aggressed. He frantically tried to deaggress and jump out but we just managed to blow him up in the nick of time. He even posted a youtube video showing that from his side he deaggressed in time but the gate wouldn't let him jump. Some desynch or lag. I've no idea whether he successfully petitioned his loss but in any event no one has asked us to hand the loot back and it got given to the FC. Now I'm not really used to people giving the FC loot. I suppose I could just quietly sell it off but I thought I'd rather give it back to the alliance in some way. Next night me and Myara were out hunting Mordus blueprints and fights in low sec. We picked up a Garmur bpc before dying in glory to some local denizens. A Garmur was worth a little under 200 million isk. I bought Myara out of his share and built the Garmur. 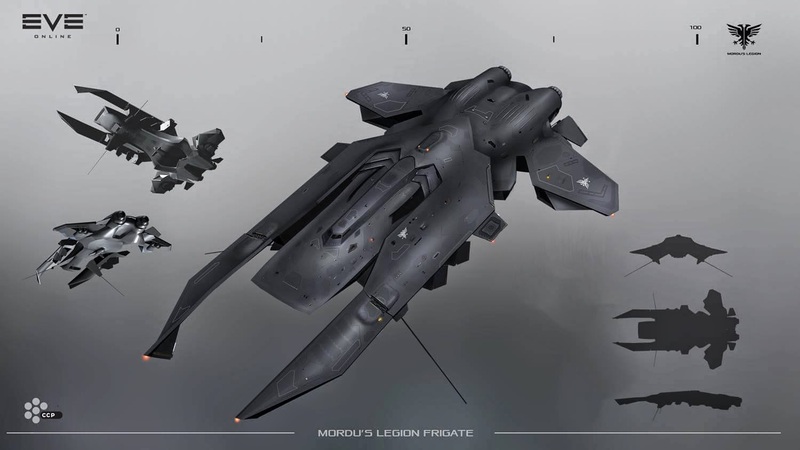 I fitted it up then shipped it out to nullsec a few weeks later, real life being hectic. And I wanted to run some kind of tournament. Now I'd noticed that some idiot died in a Garmur to an afterburner tech 1 frigate so I wanted the tournament to teach the prizewinner how not to lose his ship so easily. Rule 4: Participants can foul other participants using their scrams (Substantia got a really dirty scram in on Senshi to eliminate him in 3rd place). The video is here. In the video notes are links to sections of the class so if you want to see just that section click the link. The video starts with me stationary in my Crow and the pilots trying to orbit me at 20km without using the orbit button - they have to double click space to fly their ship and watch the range. The tournament was great fun to run and the class and tourney really put people through their paces! A few days ago I posted a summary of a battle I was in on Reddit. Yesterday a rewritten version appeared uncredited on TMC. A snarky comment, that I appear to have written my first TMC article, was censored. Eve player PuppyUK of Macabre Volum in the Northern Coalition. alliance was killed recently in a motorbike accident. Nice video on youtube of this fight from the same perspective I had in my tengu. The fight begins with Bastion/EG jumping it to an Ishtar fleet of XDeath and friends. We had tengus they were in ishtars and some other drone boats like VNI. The tengus began killing ishtars and VNIs, XDeath began killing our logi. The tengus moved in closer and early on in the video you'll see the pilot ammo switch to Antimatter. Razor brought in a bunch of proteuses repped by carriers but had some problems positioning, somewhat to the displeasure of our FC. He felt they should have lit a cyno in the fight instead of trying to warp carriers around on what had become a very heavily bubbled grid. Nulli added ishtars to the already impressive wall of russian ishtars. Not sure why people are giving them grief, seems a basically sound way to support a temporary ally. I guess the key to the fight was that the ishtars were shooting scimis and recons at long range while we went in close and used antimatter. So high damage ammo with rails v moderate damage long range drones (I want to say Bouncers but not 100% sure). I have to say our logi did a stand up job of tanking the fight out. EG/Bastion paid 14 scimis and some recons which was pretty light compared to the damage we dealt out. From our perspective in the tengus it was an absolute turkey shoot, firing non stop pretty much for what must have been close to 50 minute (my first kill died 48 mins before my last). We didn't always manage to break reps but their logi found it difficult to apply reps in time so 3 out of 4 targets died before they caught enough reps. Our FC did a great job of moving on to new targets. After winning the subcap battle we brought Dreads in to reff the ihub so hopefully we'll get a rematch soon. Eventually we cynoed in Scimi reships and Xdeath and Nulli had to flee the field. An enterprising attempt from a member of CO2 to hoover our loot failed sadly when someone blew up his mobile tractor unit. It was fun as hell to fight in and I added a page and a half of kills to my personal killboard. I burned my guns to 90% damaged, repaired them and burned them to 50% again before we finished. (Slightly twitching at the lack of overheating in the video but it doesn't seem to be such a thing in nullsec as it is elsewhere). Props to XDeath and Nulli, good fight. I didn't take any screenshots but here's a picture of a tengufleet from a few days earlier.